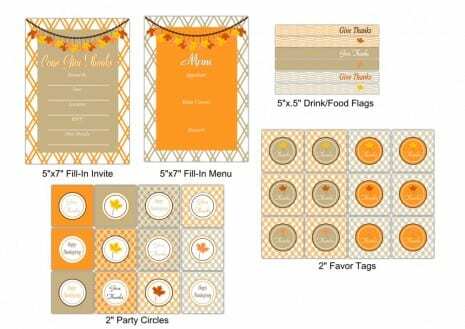 Anitria from With Envy Parties designed these classic and traditional "Give Thanks" Thanksgiving printables and we are lucky enough to get to give them away. I love all the pretty leaf garlands... Thank you, Anitria! 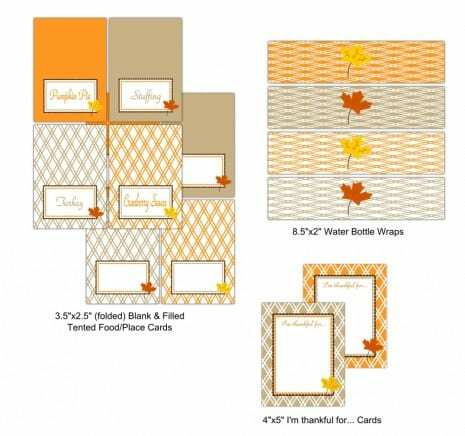 The collection includes: invitations, menus, party circles, drink flags, favor tags, blank place cards, filled-in food labels, water bottle labels, "I'm thankful for..." cards, wine bottle labels, and patterned paper. Phew, that's a lot!! Thank you, Anitria for your beautiful printables! 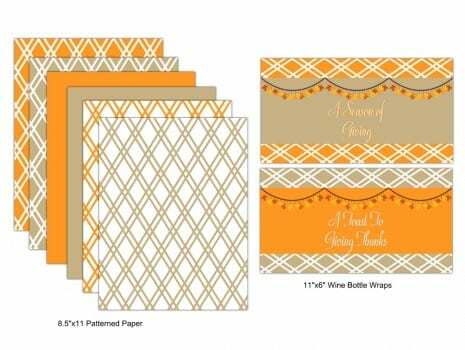 To learn more about Anitria and see all her wonderful designs, check out her blog, With Envy Studios, per party shop, With Envy Parties, and her paper shop, With Envy Paper.